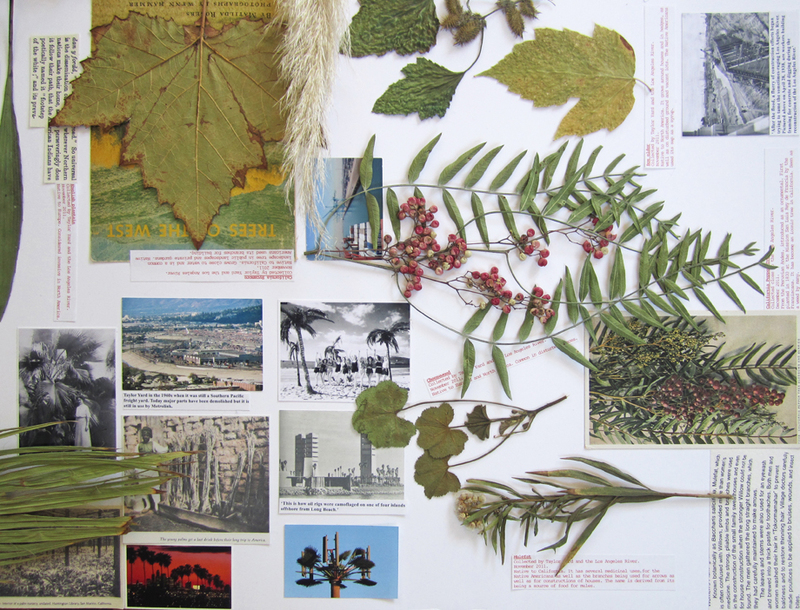 The video Great Piece of Turf (2011-2012) explores place through the narratives of plants. 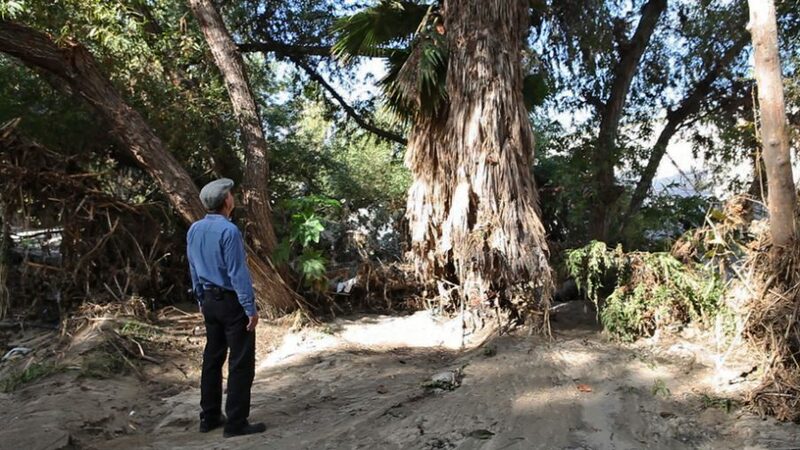 A piece of uncultivated, urban land in Los Angeles was mapped out by collecting the histories of its plants with the help of local biologists and botanists. The place is by a former freight switching facility and the Los Angeles River. 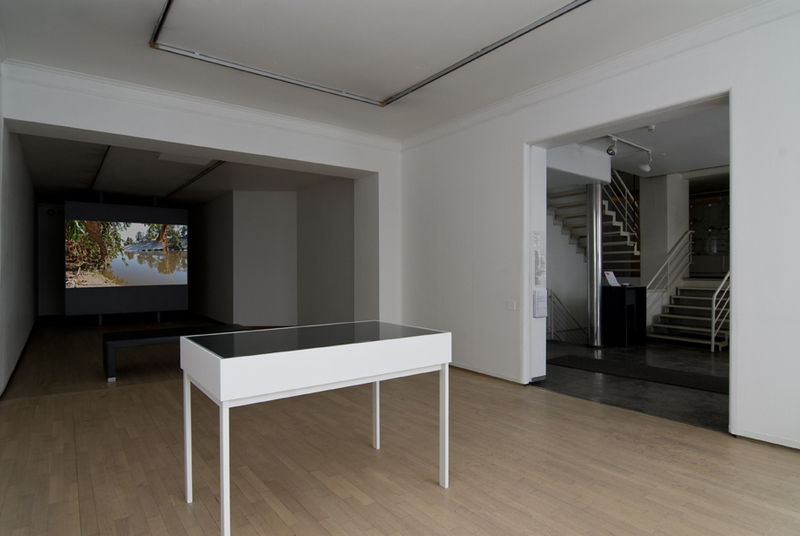 Whether a weed from China brought during the Gold rush, a palm tree introduced in an attempt to create a vision of paradise or a native hallucinogenic – narratives are revealed reflecting the interwoven and fragmented layers of history and space. Sampled material from a range of sources such as educational films, commercials, television, documentaries and movies is included. The title is borrowed from Albrecht Dürers watercolor (Das große Rasenstück) from 1503 which is a study of a seemingly random group of wild plants. 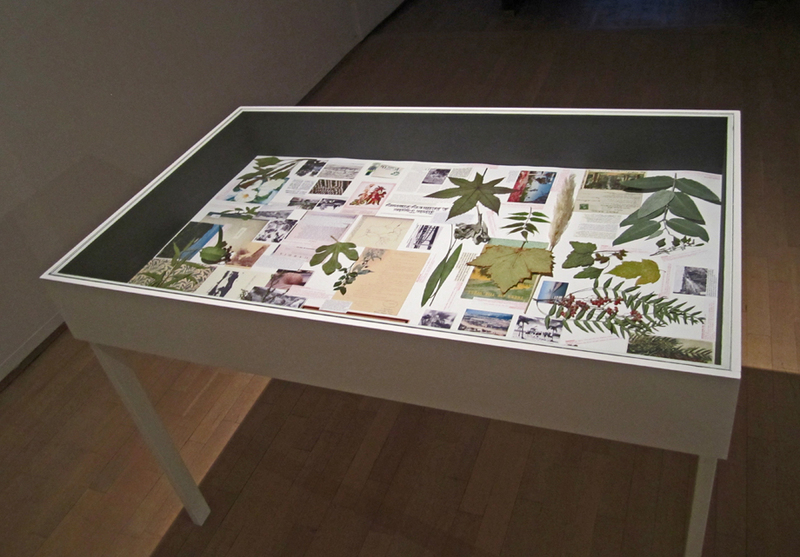 A collage/ herbarium presented in a vitrine table was part of the solo show Great Piece of Turf at Kunstnerforbundet, Oslo. The plants have been dried and are the same as the ones covered in the video. They are all identified according to their common name and presented with relevant information such as postcards, old photographs, newspaper articles etc., though with no traditional biological information usually presented in the herbarium context.